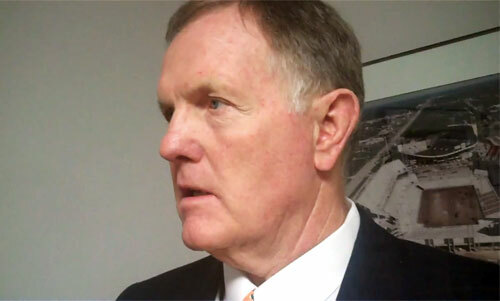 PLAINSBORO, N.J. — Physicians’ Education Resource’s announced today that Former Dolphins QB Bob Griese will be the keynote speaker at the 12th Annual International Symposium on Melanoma and Other Cutaneous Malignancies® on February 20 at the Eden Roc Miami in Miami Beach, Fla. The educational and scientific meeting will focus on key clinical topics in the management of melanoma and other cutaneous malignancies. Source: PR WEB. Currently serving as chairman of Moffitt Cancer Center’s national Board of Advisors, Griese’s wife, Judi, died in 1988 following a five-year battle with breast cancer, which prompted him to get further involved with the fight against cancer. Griese and his present wife, Shay, also publish (third printing) a recipe book, “Griese Spoon Cookbook,” in which part of the profits go to the Moffitt Cancer Center. “As a leader, two-time Super Bowl winning Hall of Famer and someone who has personally been involved with cancer on many levels, Bob Griese will be a terrific keynote speaker for the medical oncologists, fellows, surgical oncologists, radiation oncologists and other oncology professionals attending this symposium,” said PER President Phil Talamo. Bob Griese is a former Miami Dolphins quarterback who was an integral part of the Dolphins’ dynasties of the 1970s, including three consecutive Super Bowl appearances and two championships. He is a winner of the Sammy Baugh Trophy, Jim Thorpe Trophy, Bert Bell Award and is a member of both the College Football and Pro Football Hall of Fames. Sports Speakers 360 is a booking agent for pro athletes. If you would like to book Bob Griese for a speaking engagement, appearance or endorsement, contact Bob Griese’s booking agent for fees at 1.855.303.5450.